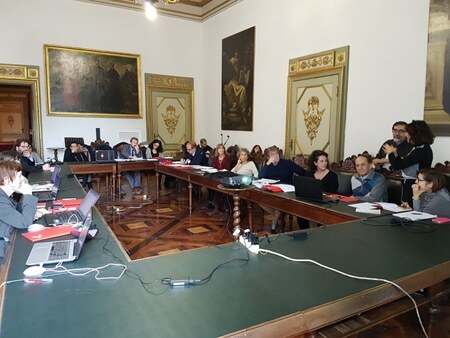 The first workshop in pilot city of Genova was held in 6th – 7th December 2016. Our project partners from ANO, ANSWARE, Cellent, Exdwarf and Genova participated. The workshop was opened by the Vice Mayor of Genova, Mr.Stefano Bernini, who fully supports the FLOOD-serv project as it is a solution for enabling early detection of flood risks in Genova. The technical partners of FLOOD-serv consortium were able to clarify the requirements of the city of Genova together with the Urban Planning Department, the Civil Protection Unit, the IT-Department and the University Department of Architecture and Political Science in order to design an appropriate solution for flood mitigation. During the second day, our partners were invited by the Civil Protection Unit which demonstrated its infrastructure. Later on, an excursion followed into the artificial tunnel, which is now under construction and which will reduce the flood risk in Genova.